There’s nothing more crucial than the reliability of our solutions. Businesses depend on our products to operate without fail––down to thousandths of an inch. On top of providing reliable solutions that meet high standards, we’re invested in making our customers’ jobs easier while saving them time and money. One of the ways we do that is through x-ray technology. A majority of our thermocouples and RTDs have either opaque metal or ceramic sheaths. In order to comply with ASTM standards, we need to verify the cap is a certain thickness relative to the sheath diameter. With the x-ray technology, we’re able to examine the cap for cracks, either within the cap or from the cap to the sheath. This helps us verify the internals of the sensor are initially sealed, and will remain sealed during usage with temperature cycling. Additionally, we can examine the cap for air pockets that should not be present. There’s a certain clearance between the junction or RTD element to the back of the cap to ensure proper thermal response. In some cases, customers specify clearances that are smaller than ASTM standards because they need a faster response rate. In other cases, customers may specify a tighter tolerance (+/- distance) on the junction position because they have an application where the temperature can vary significantly with junction movement of a few thousandths of an inch. The x-ray allows us to get an exact measurement of the clearance. 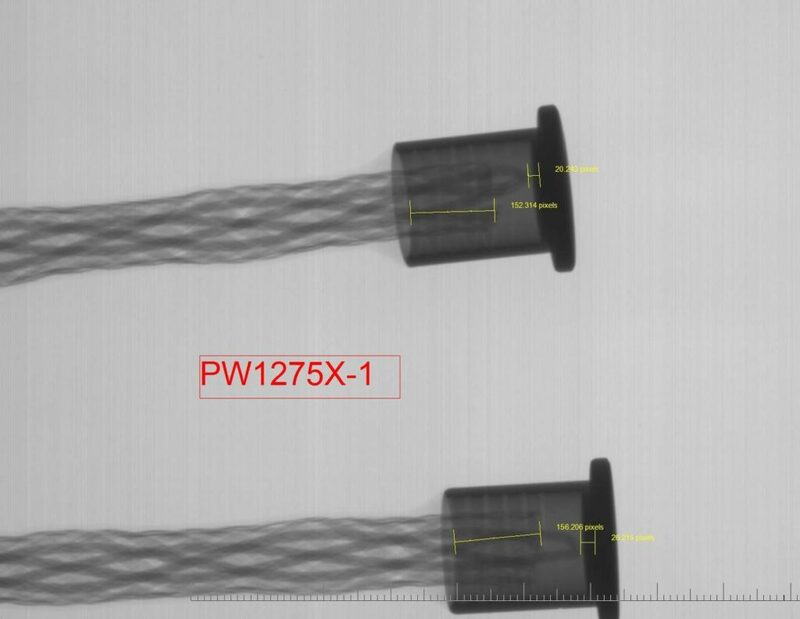 If a product fails prematurely, we’re able to use x-ray tools to view the internal components to diagnosis the issue without having to deconstruct the product, which can be time-consuming, costly and alter the part of the sensor to be examined. 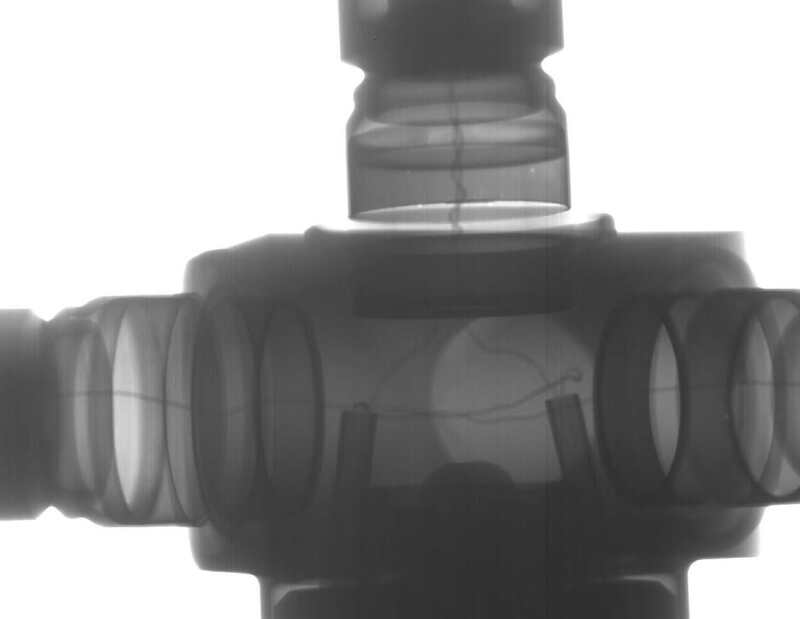 Through x-ray, we can also view the amount of wear of the sheath and internals to calculate the potential remaining life expectancy of the sensor. If you’re interested in talking more about our x-ray technology, feel free to get in touch. Measurements verify distances and thickness. The routing of wires within a termination head.